The United States Secret Service is a very specific law enforcement agency. Most everyone knows that Secret Service agents are assigned to protect the President of the United States. However, although that is their main objective, it is not their only jurisdiction. The agency was actually founded to combat widespread counterfeiting after the American Civil War. They also have jurisdiction over all sorts of financial crimes and even missing and exploited children. Still, protecting the President and other government officials is their bread and butter. Cinematically, the Secret Service is usually used for action thrillers, but every so often, they can sneak in a little comedy. Here are the top 5 best secret service agents. 2013 was the year that terrorists took over the White House at the movie theater. It happened twice. Once, through Roland Emmerich’s goofy White House Down and again in Antoine Fuqua’s far superior Olympus Has Fallen. 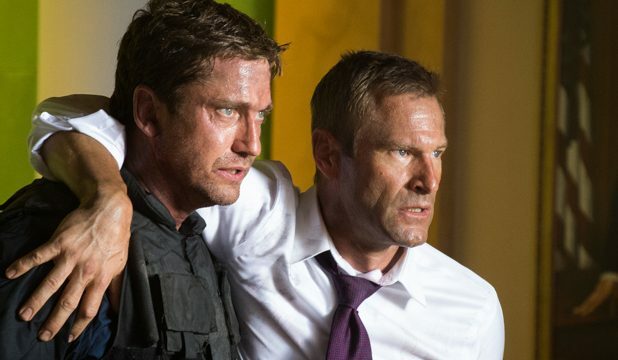 Gerard Butler plays Mike Banning, a disgraced Secret Service agent who used to be a member of the Presidential Guard. However, as fate would have it, he finds himself trapped inside a besieged White House. What follows is a hard-edged, R-rated, Die Hard in the White House thriller. Mike Banning is a dangerous man, and terrorists have infiltrated one of the most sacred, secure buildings in the world. He holds nothing back as he mows through the perpetrators without mercy. The film is incredibly suspenseful and fun. So the Secret Service is tasked with protecting the president at all costs. But what if the man in the Oval Office is only pretending to be the president? 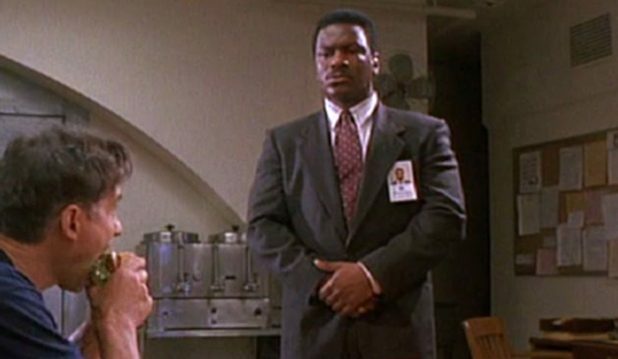 That is the dilemma for Agent Duane Stevenson in 1993’s Dave. Dave Kovic (Kevin Kline) was tasked with doubling for President Bill Mitchell after an event. However, when President Mitchell has a massive stroke, Chief of Staff Bob Alexander (Frank Langella) and Press Secretary Alan Reed (Kevin Dunn) decide to keep Dave around. It is a farce, but a wonderful one. If this movie were made in the 40s, it would definitely have been made by Frank Capra instead of Ivan Reitman. Dave is always trying to figure out Duane, who is always there and never showing any emotion. Dave feels compelled to break down his wall of professionalism because, after all, Duane is there to save his life. The strike up a lovely friendship (enjoy the discussion of the sweater vest) but it all pays off with their last exchange of the film. 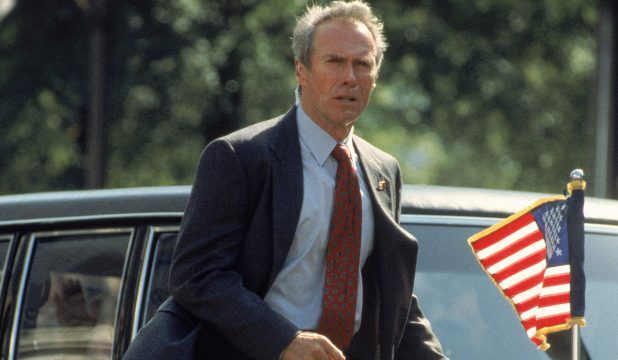 Having Wolfgang Petersen, Clint Eastwood, and John Malkovich in a Presidential assassination movie was brilliant. Eastwood plays Agent Frank Horrigan. We meet this grizzled old Secret Service agent while he is investigating some counterfeiters. We soon learn that Frank is the only remaining agents that were tasked with protecting President Kennedy in 1963. A madman named Booth contacts Frank and informs him that he plans to kill the current president. Because of the unique position Frank is put in, he asks to be placed back on Presidential Protection detail. The cat & mouse game between Eastwood’s Frank and Malkovich’s Booth is extraordinary. The film is not as high octane as Olympus Has Fallen or Vantage Point, but it is no less exciting. In 2008, Director Pete Travis released a clever thriller called Vantage Point. Emulating Akira Kurosawa’s Rashomon, the film tells the story of an attempt on the President’s life at an international summit. William Hurt portrays President Henry Ashton who is attending the summit in Salamanca, Spain. Upon reaching the podium, he is immediately shot twice. Soon thereafter, a large explosion in the square kills dozens more. It is an incredible 23-minute sequence of events, and Vantage Point tells the same sequence from six different points of view. 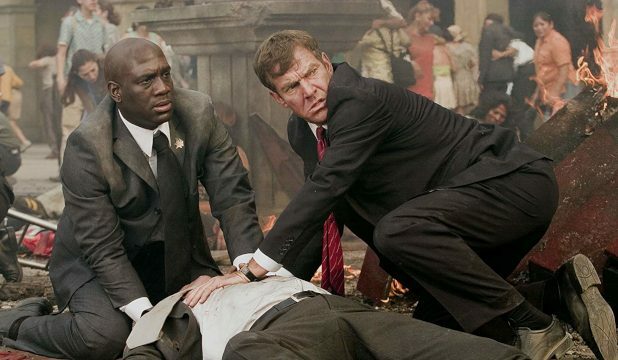 One of those points of view is through veteran Secret Service agent, Thomas Barnes (Dennis Quaid). Once President Ashton is shot, Agent Barnes and his partner, Agent Kent Taylor (Matthew Fox) spring into action. The way Barnes sees what others do not see and acts in ways others are not willing to act is nothing short of inspiring. That look on his face in the press van when he sees something surprising tells an entire story in itself. As the other points of view come and go, Agent Barnes seems to evolve from an efficient Secret Service agent to a near superhero. The chemistry between Nicholas Cage’s Agent Doug Chesnic and Shirley MacLaine’s Tess Carlisle is pitch perfect. 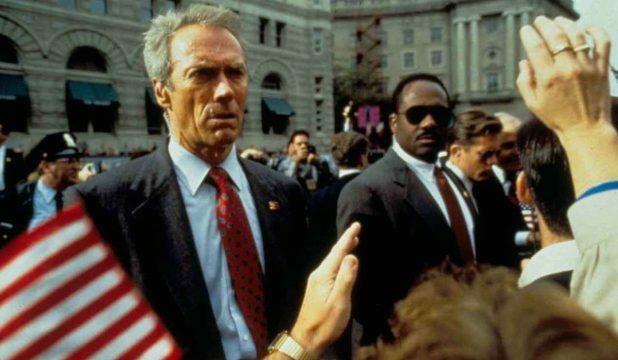 It is easy to go as far and say that it is the best Secret Service relationship in cinematic history. Tess Carlisle is the widow of a former President and it is Agent Chesnic’s duty to protect her. For the past three years, Tess has been trying the patience of the ultra-professional agent. She treats him more like a servant and less like a protector. However, Agent Chesnic puts up with it due to his fierce loyalty to Tess’s late husband. 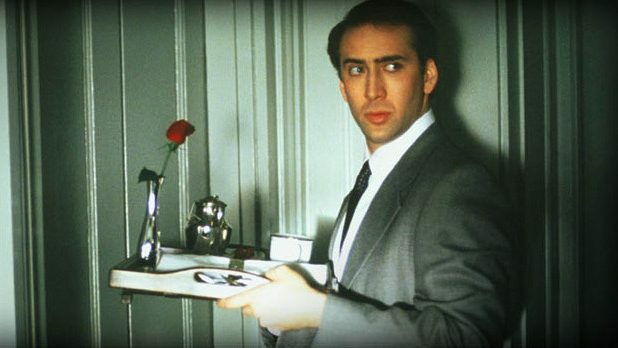 If Cage’s and MacLaine’s relationship were not so perfectly realized in the delightful Guarding Tess, the absurd kidnapping plot that occurs would have ruined the movie. However, since we grow to love these two characters so much, we are really invested in Tess’s safety and Doug’s need to save her.